Choosing a cremation casket is one decision that you will need to make early on in the planning process. This guide will go through everything you need to know about caskets. We’ll specifically talk about renting or buying one, and the costs associated with each option. Later on we’ll talk about the different styles and materials available. With this guide, we hope you have enough information to discuss with family and friends, in order to make a well thought our decision. 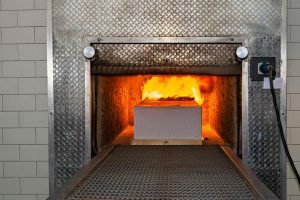 What is a cremation casket? 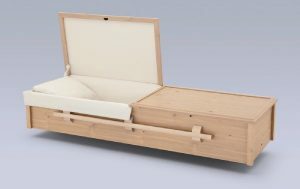 A cremation casket can be used in the funeral service, viewing and cremation. If you decide on a low cost cremation, the first two parts are not necessary. Options range from as little as $120 for a cardboard cremation container. The casket must be fully combustible and leak proof with no metal parts. Fabrics and linings are optional and must meet cremation criteria. There are different types of caskets you can choose from, usually made from cardboard and wood. Some of which are eco-friendly and biodegradable. These have become very popular in the last few years. You have the option buy or rent, which we’ll discuss in more detail later in the guide. The coffin gets cremated with the body, in a furnace that heats at 1400 to 1800 degrees Fahrenheit. After the process is finished you are left with metal nails from the coffin, and bone fragments. The bones get reduced to ashes, and this is what the remains are. The weight of the remains is around 7 pounds for men and 5 pounds for women. You will also receive a Certificate of Cremation which is a legal document carrying the name of the person, as well as the date and place of cremation. 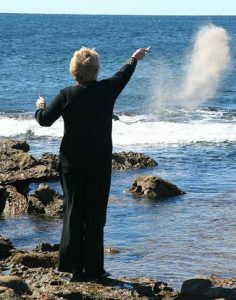 After the family receives the ashes, they usually place them in an urn to be later scattered in the wind, out of a plane, into the ocean, or wherever the person’s favourite place was. You may need to send the ashes to interstate or to overseas family members. Catholic Church: They do not accept scattering of ashes. 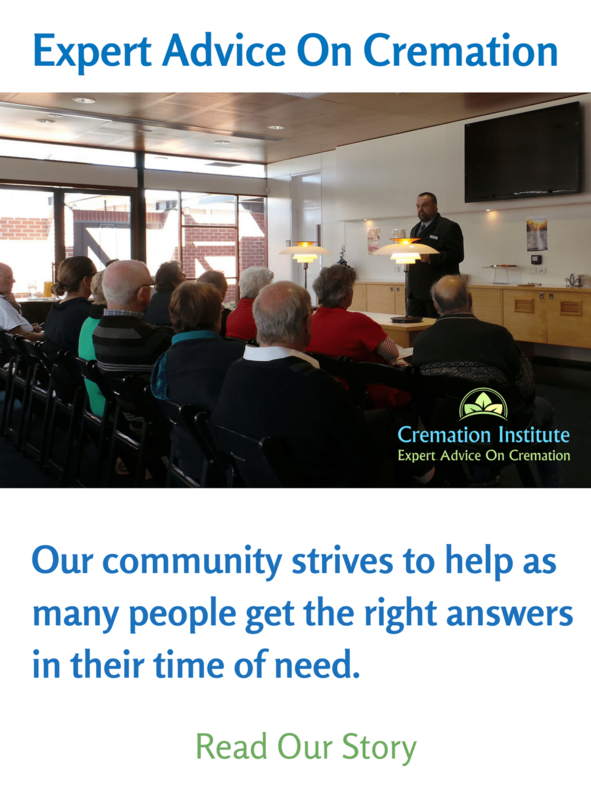 “The body is to be treated as a whole and should be kept as such.” For more information, our Catholic beliefs on cremation guide goes into more depth. Judaism: Orthodox Jews also strictly forbid the practice of cremation. Hindu: After the cremation process, hindus forbid the ashes to return home. They must be scattered within 14 days of the cremation. Furthermore it is recommended for the ashes to be cast into the river Ganges. The people performing the casting of the ashes have to leave without glancing back. Jehovah’s Witness: Have no issue with the practice of cremation. Our Jehovah’s Witness funeral article goes into more depth about beliefs about death and dying. What can you leave in a coffin during cremation? 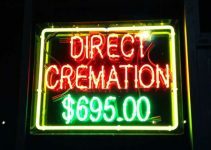 While some people wish to take some of their possessions with them, this is not recommended for the cremation process. Since the jewelry and other possessions might be metal, they will not be reduced to ash. It is recommended that you do not leave a person’s belongings inside. Let them stay intact and continue representing that person in your lifetime. If you wish to leave them for cremation, please tell the crematory staff before, who will advise you on whether it is possible. If you wish to be extremely creative, you can always choose to turn your loved one’s ashes into cremation glass art. You can choose between many customized pieces including jewelry, glass orbs, paperweights, and much more. You may also want to use the cremains to make a cremation diamond. Yes you absolutely can. A rental casket is an option for people who want to have a funeral service before the cremation, without the large expense of buying a casket. 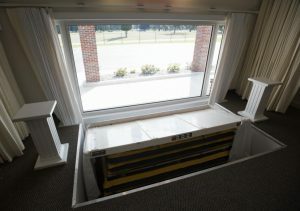 What does a rental casket look like? They’re exactly the same as regular caskets, which are made of wood or metal with a glossy finish. The only difference is they are used many times over. You rent it for the service, together with a pillow and removable cloth. 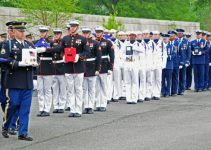 The cloth keeps everything sanitary, so the casket can be used again. Firstly, the deceased is placed into an alternative container (Which they will be cremated in). For the service, this container is carefully inserted into the rental casket, together with a protective sheet. That way, at no point does the deceased make contact with the casket. The usual policy is that you’ll get a “looks like new” casket. After the service is over, the body is taken out of the rental casket and sent to its last journey to the cremation room. A religious, or non-religious cremation service is held. For those from a particular denomination, you will need to contact your faith leader. Non-religious ceremonies are conducted by a celebrant, who are more flexible in what they can offer. It could be religious, spiritual, or somewhere in between. The committal of the coffin happens, it is either lowered or withdrawn through a gate. 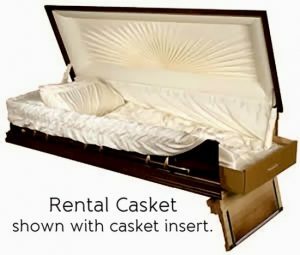 For a rental casket, you can expect to pay between $700 – $1000 and an additional $150-$250 removable items (Pillow and cloth). Just for comparison, a traditional casket costs around $4000 – $6000, which is at least 4 times the cost of a rental. The price for a normal cremation casket price ranges from $80 to $3000, depending on what you choose. The casket is probably the biggest expense in the cost of cremating a loved one. Another major decision is whether to have a funeral service or not. A traditional coffin will cost you around $4000 to $9000. A rental plus the cremation coffin would be around $1080-$4000. Cardboard cremation containers are also know as alternative containers. This is an eco friendly option, that is also budget friendly. You are saving trees and money at the same time. The prices of the ones we looked at went from $135 to $795. 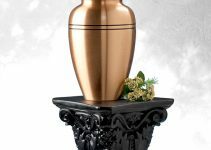 This option is becoming very popular in the last 5 years, especially because of the digital printing option, which allows you to decorate the cremation container however you desire. You can also choose between coffin shaped and rectangular shaped container. It is a completely personal choice. They are made out of 100% biodegradable material. The manufacturers use corn starch glues, wax coated lining and natural rope or fabric handles. If you care about nature, and wish to have clean ashes, you can always go for the green option. These biodegradable coffins are made of cotton, wool, bamboo, wicker – all natural materials. You could also look at the recycled cardboard option. 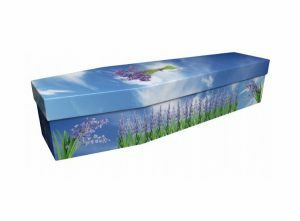 They are made to resemble a traditional casket and will be a budget friendly option, compared to the price of renting a casket. They are fully combustible. These biodegradable coffins are made from recycled paper, or they could also be made from cardboard. They contain wooden fibers important for stability of the coffin. The casket is lightweight and offers the cleanest ashes possible. These are made completely out of plywood. Again, there will be no metal parts included. The wood is a good option because it’s fully combustible.